Sign up to receive a weekly newsletter containing our upcoming locations! 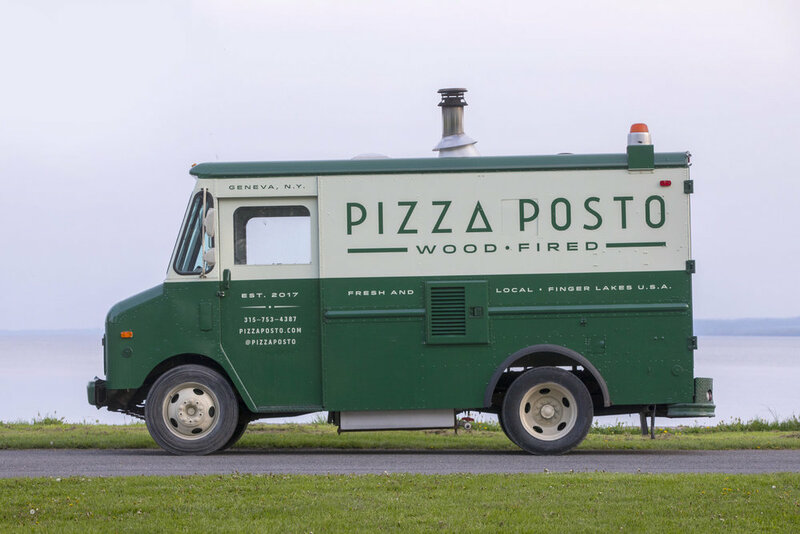 Pizza Posto is a mobile wood-fire pizza truck operating out of Geneva, New York. We use locally sourced ingredients to craft the highest quality pizzas and pannuozos for locals and tourists to enjoy. 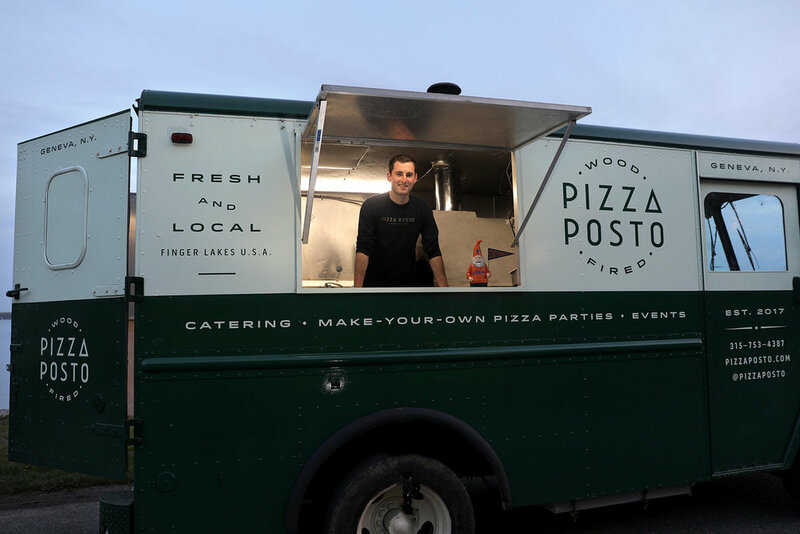 Pizza Posto was born out of a desire to serve locally sourced ingredients from the Finger Lakes on pizza. We were always shocked that delicious meats and cheeses were being produced within 15 miles of Geneva, yet no one was putting them on pizza. The average American meal travels 1500 miles to get from the farm to your plate. By using locally sourced ingredients, Pizza Posto drastically limits the harmful environmental effects of moving food over great distances.